Christmas would not be complete in our house without a gingerbread house, I’ve been decorating them every year since the children were tots. I have to confess I have never made the gingerbread, I’ve always bought it flat-packed from Ikea!! I did once make a gingerbread Noah’s Ark for Helens birthday, but I’m not sure it would have held together for as long as I expect the Christmas houses to. This is the first year I’ve not been making them to order, my busiest year I made about 18, covered in smarties and cake decorations, hard work but it helped pay for Christmas! 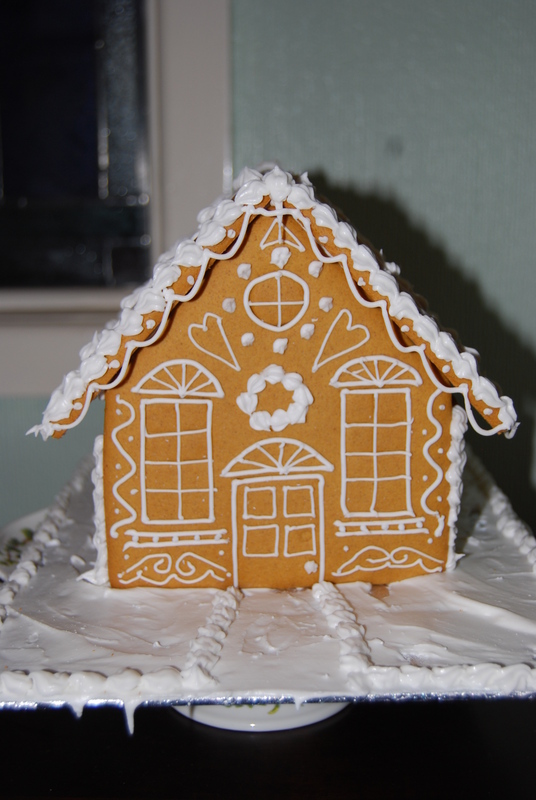 A few years ago I started doing a ‘grown-up’ gingerbread house, just decorated with white icing, I think they’re prettier than the sweetie ones. This year I nearly didn’t have one as I couldn’t get over to Ikea, then my friend spotted one at Morrisons for £5. It’s chunkier, softer gingerbread, feels like it might taste nicer than the Ikea one which is very biscuity. I learnt a long time ago to decorate the walls first, before assembling it, it is so much easier to make a neat job when its flat on a board, when the children wanted to help they could do a side each. I used a thin layer of icing over the board which also helps to anchor it. I always decorate with royal icing made from fresh egg white, I add a little lemon juice to give a bit of strength for the suspended icing. They are surprisingly easy to do, it’s a matter of working fast and ensuring there’s some icing for it to anchor to. 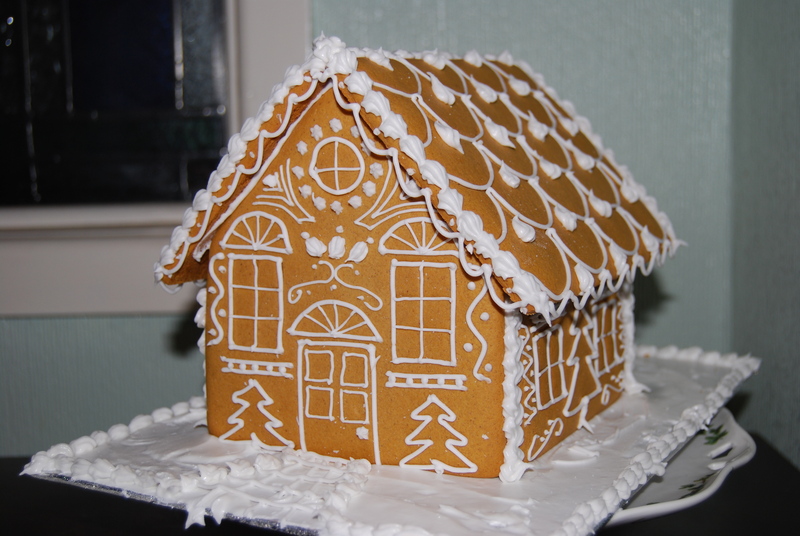 This entry was posted in Christmas, Home and tagged Christmas, Gingerbread House, Icing. Bookmark the permalink.